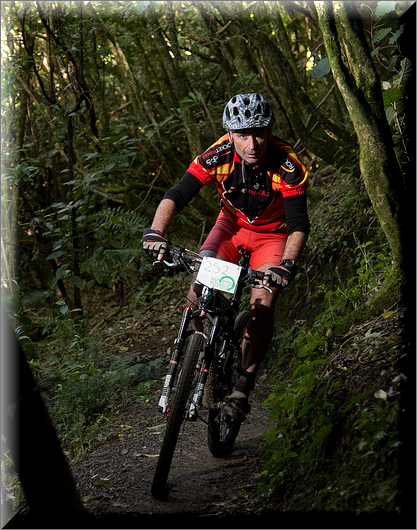 "I would like to ask you, if I could effectively combine mountain bike training with mountain running, to successfully compete in both. Would you recommend lifting weights additionally, to increase the maximum strength and power output?" 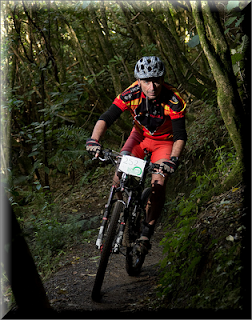 Mountain bike training and mountain running are perfect partners - I could not think of a better combination. Its what I practice personally. Running straight up a mountain requires enormous endurance in the thighs, calves and buttocks. Mountain biking stresses these muscles perfectly. Running uphill and mountain biking are "concentric" exercise forms and are therefore unlikely to cause significant post exercise muscle soreness. Recovery between workouts is therefore quick as compared to recovery following running downhill which is eccentric in nature and, therefore guaranteed to cause muscle soreness. So, if we apply this to mountain running and mountain biking, - and I would be inclined to keep things really simple - I would begin by first picking the discipline which is the most important to work on over the next 6-8 weeks. Let's say it is mountain running because there is the Mt running champs in 8 weeks from now. So, the programme would be mostly off road with hill running 3-5 sessions per week with 2-3 rides on your mountain bike between the running. By default, Mountain biking can be very intense without intention. It is so easy to end up maxing out grunting up a steep and rocky slope that is on the limits of your gearing and fitness. Take care not to burn out by ensuring that a ride that is intended to be "easy" is, in fact, easy. When doing high volumes of training, it is really, really important to ensure that there is a careful mix between high intensity and low intensity training sessions and the big emphasis is always on recovery between sessions. This is where athlete nutrition and massage are so critically important There are lots of articles on this blog about these two topics). Do I recommend strength training - Yes! Some upper body strength is desirable when mountain biking, mostly to resist the constant slamming of the arms and shoulders onto and over the handlebars when hooning down rocky slopes and hitting the bottom of deep drop-offs at speed. Strong shoulders and forearms are handy as well when there is unplanned hitting the dirt which is a part of life when doing either or both of these crazy activities. Upper body strength can be built and maintained by working out in a gym twice a week. This does not have to be a commercial gym - all you need is a barbell set, mat, bench and chin-up bar and you are away.